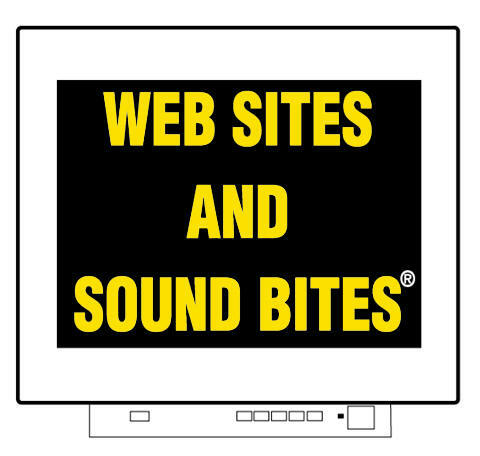 Web Sites and Sound Bites?/sup> provides a unique combination of coordinated services to enhance and publicize your work. provides a convenient, quick way to contact us by e-mail. 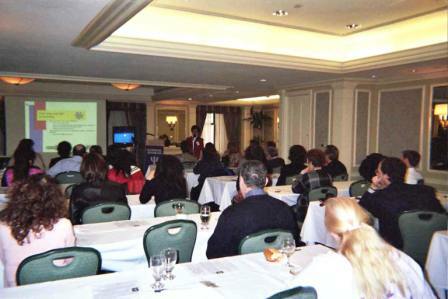 Dr. Carol Goldberg conducting a multimedia coaching workshop. Our name, Web Sites and Sound Bites, embedded into a logo makes it easy to remember such varied services. It illustrates the clear and concise communication, logo, and features we can do for your web site. For your convenience, we take credit and debit card payments. You'll wonder why you waited so long when you see how stress-free and affordably Web Sites and Sound Bites?/sup> can show off your work.